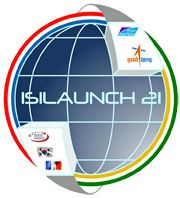 India's Polar Satellite Launch Vehicle, in its 42nd (PSLV-C40), successfully launched the 710 kg. 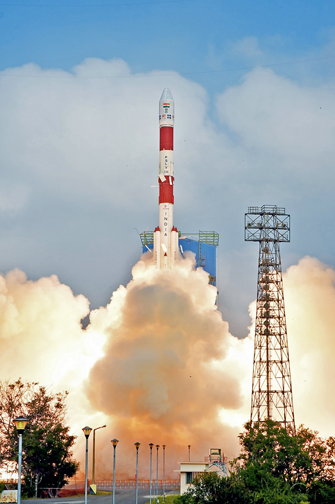 Cartosat-2 series satellite for Earth Observation (EO) and 30 co-passenger satellites — together, the weight at liftoff was 613 kg. at lift-off. PSLV-C40 was launched from the First Launch Pad (FLP) of Satish Dhawan Space Centre (SDSC) SHAR, Sriharikota. The PSLV-C40 launch from the Satish Dhawan Space Centre (SDSC) SHAR, Sriharikota, India. The co-passenger satellites comprise one microsatellite and one nanosatellite from India as well as 3 microsatellites and 25 nanosatellites from six countries, namely, Canada, Finland, France, Republic of Korea, UK and USA. The total weight of all the 31 satellites carried onboard PSLV-C40 is about 1,323 kg. The 28 International customer satellites were launched as part of the commercial arrangements between Antrix Corporation Limited (Antrix), a Government of India company under Department of Space (DOS), the commercial arm of ISRO and the International customers. The PSLV-C40 launch carried the Indian satellite Cartosat 2 Series as the main payload. This successful outcome of this return-to-flight launch of the Polar Satellite Launch Vehicle (PSLV) revealed the importance of the PSLV for the smallsat sector in general and for the Dutch cubesat company ISIS — Innovative Solutions In Space (ISISpace), in particular. Out of the 31 satellites, 23 were integrated on the rocket (and subsequently successfully deployed into orbit) using the ISISpace’s QuadPack cubesat deployers and relied on the ISISpace sequencing electronics for the timely deployment. With the success of this campaign, ISIS has reached a total of 256 satellites sent to space and 197 QuadPack doors successfully opened. (view the track record). 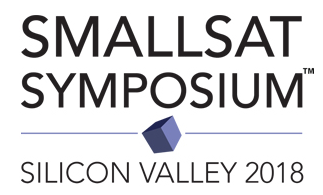 The cubesat manifest using QuadPacks came together from several launch services providers and aggregators, including ISISpace’s own ISILaunch service. In addition, many of the cubesats carried components, subsystems or complete spacecraft buses provided by ISISpace to enable the exciting space missions that have now started their operational lifetime and will undoubtedly provide interesting and meaningful results in the near future.